There has been an impressive national response to immediate fire disaster relief. 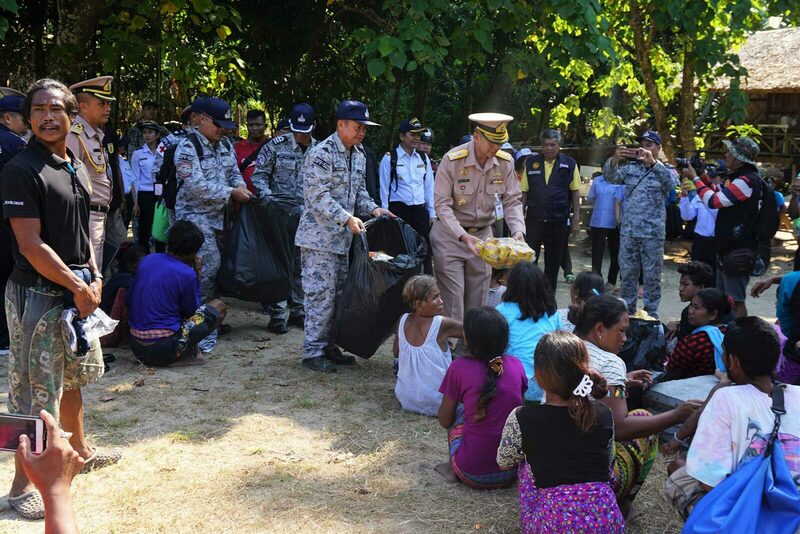 Many different parties organized to help to the Moken people on Surin, who lost all their possessions after the fire and were left with only the clothing they wore that evening on February 3rd. 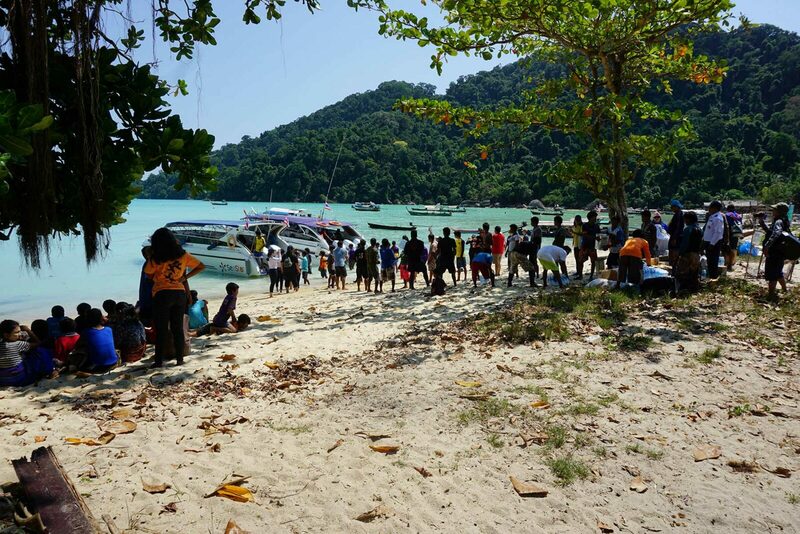 The Thai Navy as well as the Mu Koh Surin National Park, who are both based around the Surin Islands provided for immediate needs and have been serving meals to the Moken since. 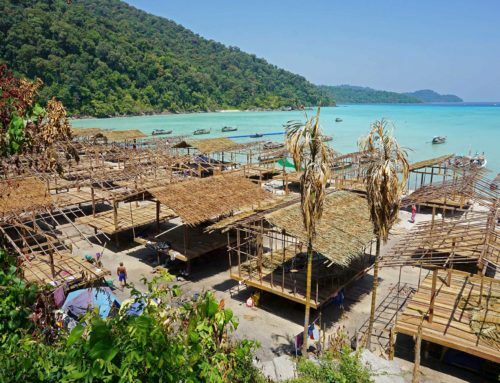 The district and provincial government officials went to Surin and organized provisions from the mainland with help from tour companies normally accustomed to bringing tourists for day trips into the national park. Many individuals spread the news via social media and within two days the Moken had already received an excess of clothing donations. The night of the fire many of the Moken stayed at the National Park Headquaters, but have since moved to stay on the fringes of their former village. 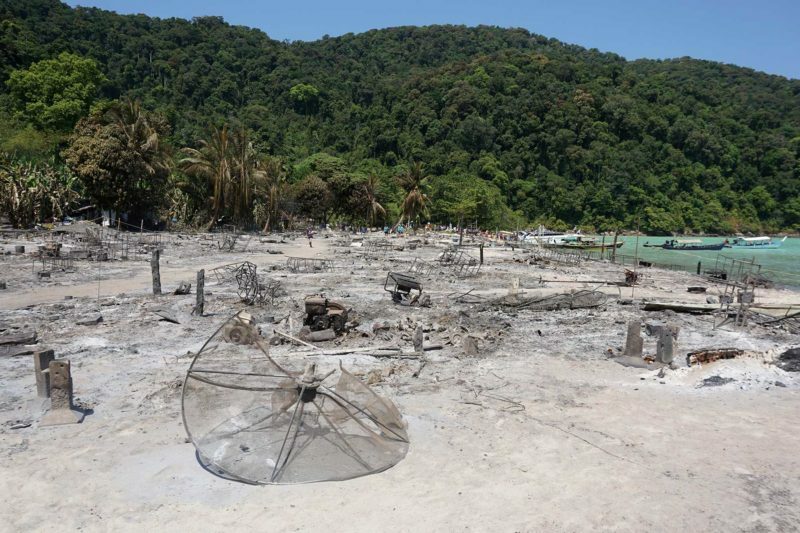 The Moken stay in tents, the school building, and the remaining 15 houses that did not burn down. Many, however, just sleep under the stars at the beach, preferring this to tents. Government officials have committed to providing financial assistance to every family for their lost houses. 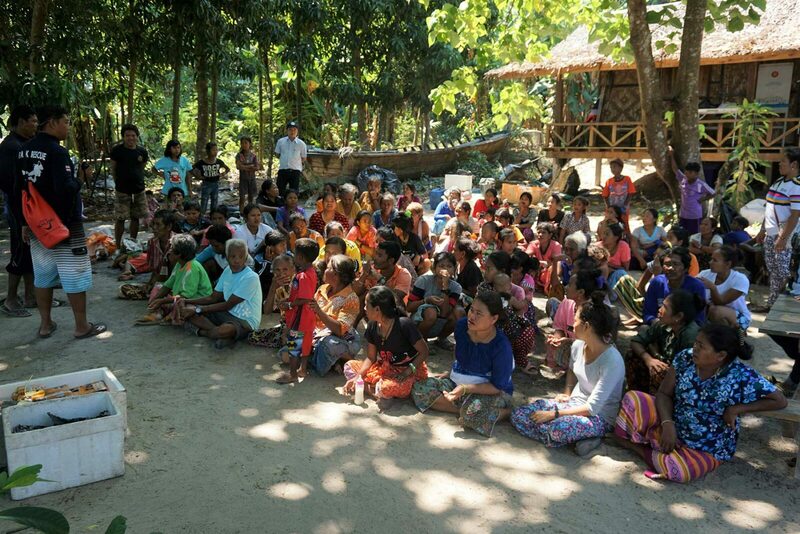 At the moment a village plan is being drafted that upon completion will be shown to the head of the village, Ngui (Tawan Klathale), for revision. 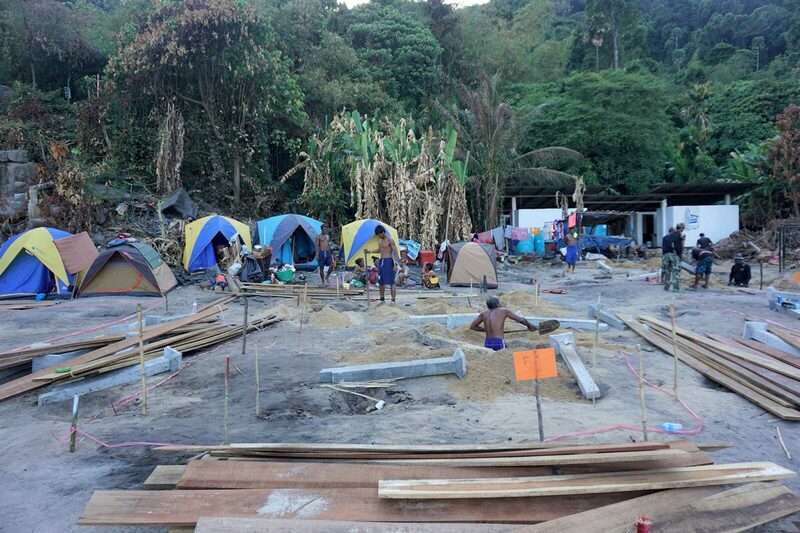 If the Moken agree to the plan, then the houses will be built accordingly and material will be purchased by the government. 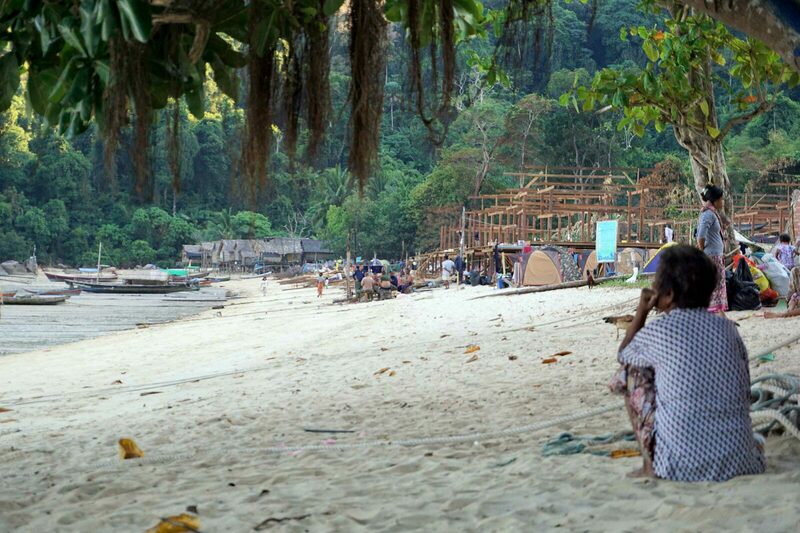 The question remains what happens if the newly drafted village plan doesn’t reflect the interest of the Moken? Will they be able to voice their needs and interest? The discussion at hand is about how much space they are able to use. In the old days the location of the village would change from bay to bay every year, and historically, there were often two Moken villages on the islands. To what degree can the Moken hope to regain some of their historical rights? 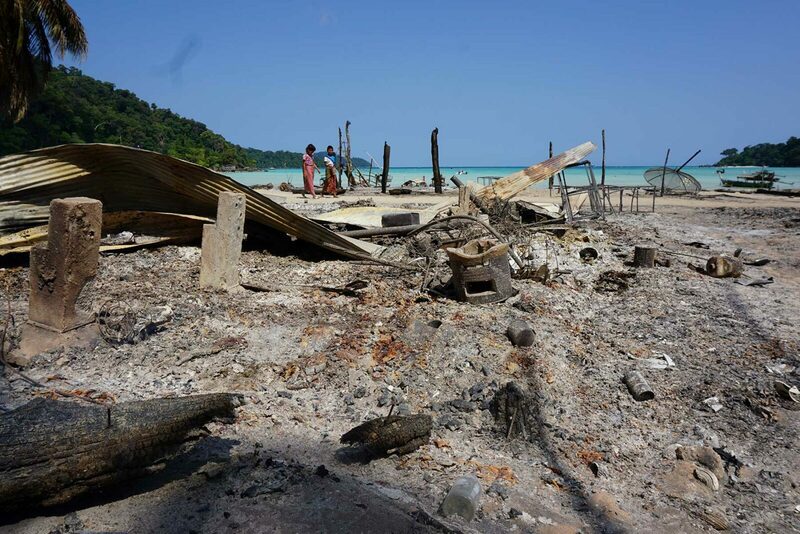 The Moken now face an uncertain relief process. 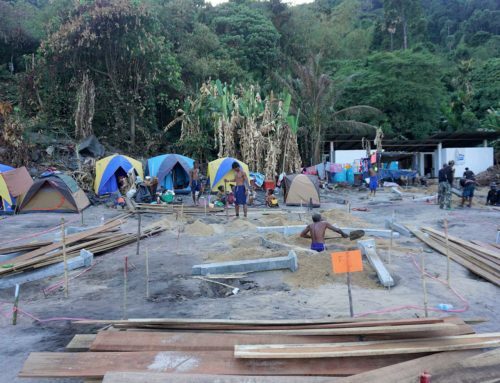 We are facilitating a Moken-led fund to address the most urgent needs of the community and the long term recovery process. 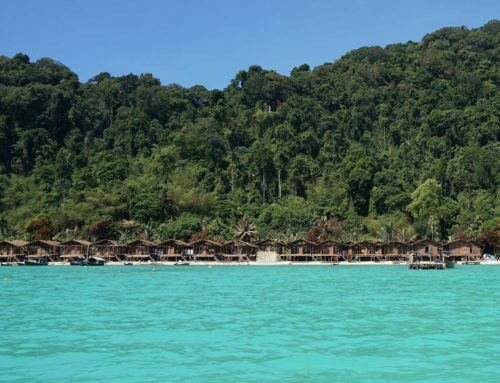 This website shares unbiased information about the Moken people and Koh Surin National Park, to promote respectful interaction and a sustainable future. 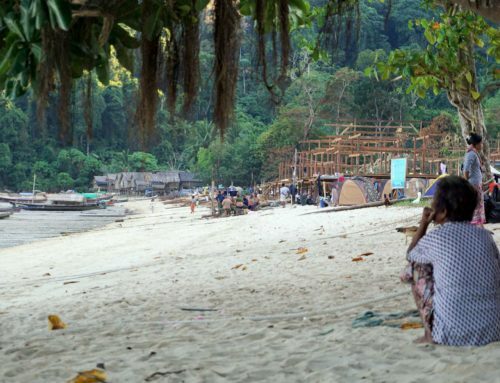 Here you will find travel advice, support projects, research, and news media about the Surin Islands and the Moken, also known as sea nomads or sea gypsies. 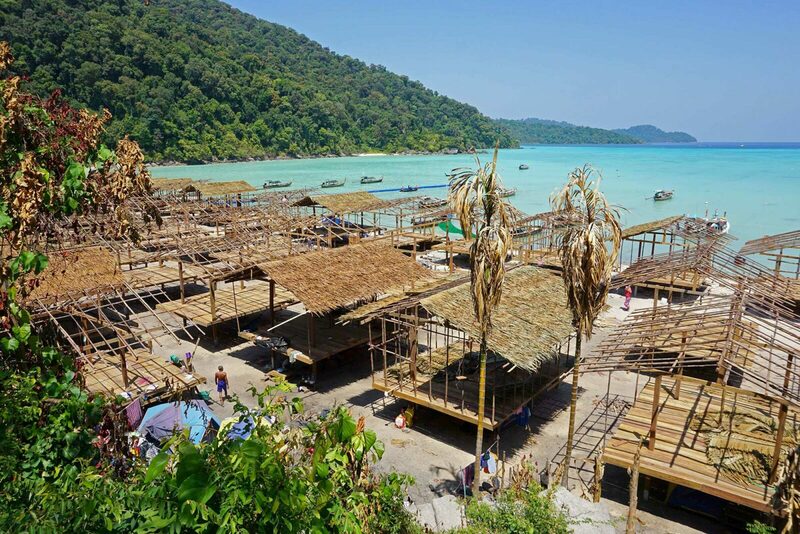 The work of the Moken Tourism Team highlights the partnership between Koh Surin’s inhabitants and environment, and the struggle for autonomy faced by Moken people throughout the Mergui Archipelago. Which is bigger 2 or 55? 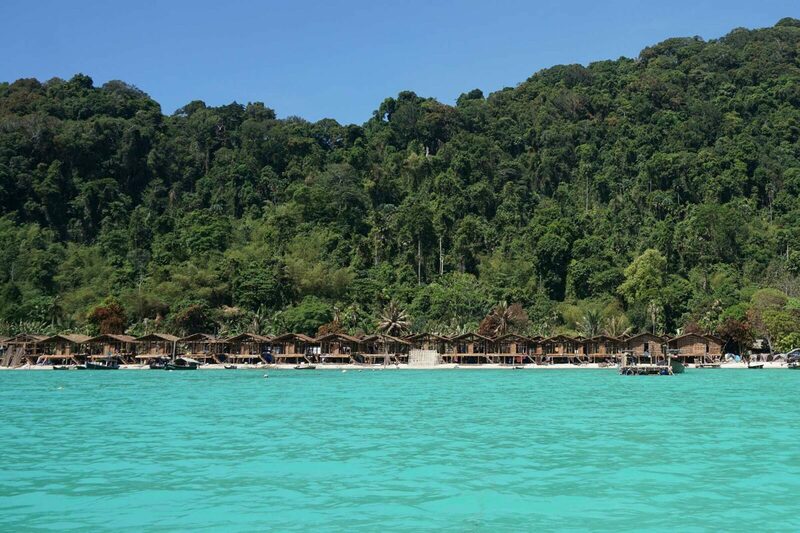 Copyright © Andaman Discoveries. All rights reserved.